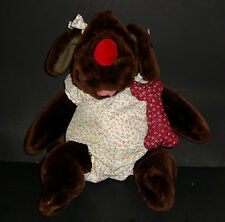 Fran Fox Artist Designed Cottage Collectibles Ganz Plush Doll 1995 Lorraine 9"
Moose Wrinkles Brown Reindeer Plush Toy Heritage Collection Ganz Vintage 1985 9"
Yes No Bear Ganz Cottage Collectibles Basil 19"
A Cottage Collectibles. Yes No Bear named. Please Read :Payment:I accept Paypal only and payments are due within 3 days after winning the bid. He has jointed arms and legs, a String nose, and black bead eyes. Top Rated SellerBrand: GANZSize: 7in. 1985 Ganz Bros. Heritage Collection Stuffed Plush Pony Horse - Cute! 5 out of 5 stars - 1985 Ganz Bros. Heritage Collection Stuffed Plush Pony Horse - Cute! 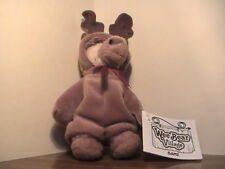 1 product rating1 product ratings - 1985 Ganz Bros. Heritage Collection Stuffed Plush Pony Horse - Cute! 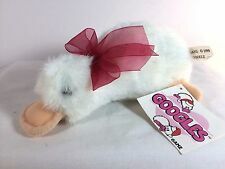 Dogs H10643 White Brown Puppy Barking Sounds Vintage Ganz Plush Cuddle Toy 5.5"
Teddy Bear Named. 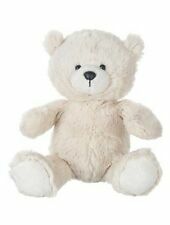 Be sure and have around my store for other Care Bears. 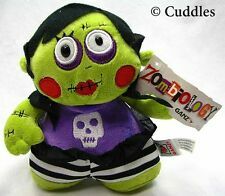 A Plush. Please Read :Payment: I accept Paypal only and payments are due within 3 days after winning the bid. "L" on bottom of paw for the artist "Lorraine" Jointed limbs are moveable. Hang tag and tush tags are still in nice crisp condition. New in nice condition. Has been stored for nearly 20 years. New with hang tag and tush tags in nice condition. Has a spot on the ribbon where a gift tag had been glued-most has been scraped off- see picture. No rips, tears, odors or stains. Ganz Hug-A-Packs Cat 3 way backpack / Purse / Fanny Pack Plush 15"